The EU-IOM Joint Initiative recently launched a website where it will provide first-hand migrant accounts as well as data and updates on the migration situation in the Mediterranean. The new website of the EU-IOM Joint Initiative (http://migrationjointinitiative.org/), which launched on September 18, is designed as a hub for information on the migratory situation in the Mediterranean. It is a place where migrant voices can be heard telling the stories of their journeys. The website also provides information about the main institutional and organizational initiatives surrounding migrants, and updates about the situation on the various migrant routes. 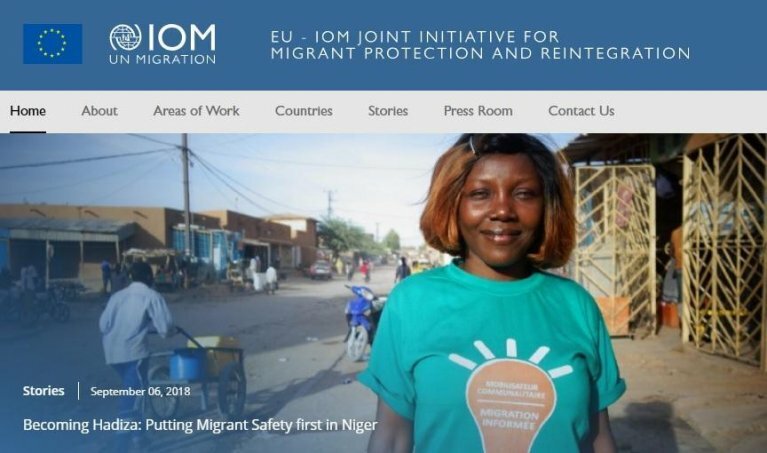 The UN migration agency, the International Organization for Migrants (IOM), said in a statement that the EU-IOM Joint Initiative launched in December 2016 with the support of the EU Emergency Trust Fund for Africa. It is the first comprehensive program to bring African partner countries, the IOM and the European Union together around the shared aim of better protecting migrants along migration routes, providing them with socio-medical care, and offering safer and better-governed migration processes. The rise in voluntary humanitarian returns from Libya in the wake of revelations of the abuses suffered by Sub-Saharan Africans in Libyan detention centers has pushed the EU-IOM Joint Initiative into the public spotlight, with increasing requests for information, data, and first-hand accounts. This led to the creation of the EU-IOM Joint Initiative website for journalists and anyone interested in what is happening along the Western and Central Mediterranean migration routes. The new website aims to become a one-stop resource for information on the program's activities and results. It will provide news releases, data, reports, videos and background information on the migration context in the Sahel, North Africa and the Horn of Africa. The website's user-friendly pages provide the latest data per country, including the provision of protection and of post-arrival and reintegration assistance. The latest reports will be published on a monthly basis and will present highlights, best practices and human-interest stories collected by IOM staff working in the field. The website will also contain personal stories and testimonies from migrants who have received assistance from IOM under the Joint Initiative.